Contains specially formulated spirit based opaque paint. Lead free, very fast drying, fade and ultra violet resistant. Works on firm and hard smooth surfaces such as aluminum foil, plastics, perspex, metals, cardboard etc. 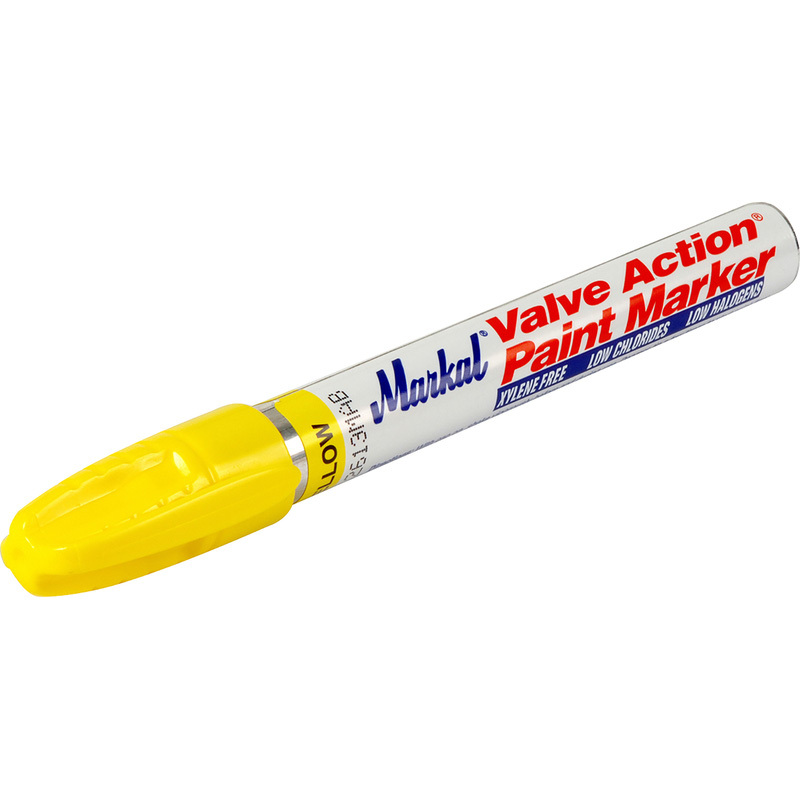 Markal Valve Action Paint Marker Yellow is rated 5.0 out of 5 by 2. Rated 5 out of 5 by Beee from Does exactly what I need it to Bought this to label catering equipment for school cookery lessons. Perfect. Clear, easy to read and durable. Rated 5 out of 5 by fixer64 from acetal pen marks metal for cutting / welding / bending and stays on despite the heat.